Successful ecommerce is all about connecting potential customers with the products they need. This means making your products as visible as possible to customers that are ready to buy. A blog is not only a powerful SEO and marketing tool, it’s a great way to connect with your customers and keep them coming back. Our blog add-on for AspDotNetStorefront makes it easy to include a full-featured blog right on your existing ecommerce site. As search engines continue to lend more weight to relevant content, maintaining a blog has become a great way to improve your site’s search engine ranking and develop domain strength for a wider variety of keywords. Unlike standalone platforms, our blog add-on keeps search engine friendly content right on your domain for maximum SEO impact. Even for ecommerce sites with keyword-rich product descriptions, extending relevant content to a blog adds valuable additional pages and links. Further still, search engines lend importance to fresh and regularly updated content and blog pages are more likely to receive inbound links from other websites. 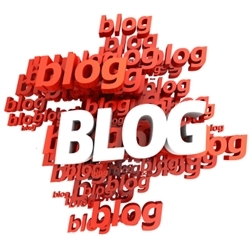 Adding a blog to your ecommerce site will attract more search traffic and get more exposure for your products. Maintaining a blog is a great way to increase the number of potential customers that visit your ecommerce site, but it’s also a great way to keep them there. Offering useful information on issues related to your industry establishes the credibility and trust that will pay dividends in repeat business and customer loyalty. Eventually customers will come to you as a trustworthy go-to resource for information and products in your field. Your blog is an ideal opportunity to expand on product descriptions and identify important product features that address your customers’ needs. Tying your blog posts back to relevant products builds a network of information and product solutions that encourage customers to more actively explore your full product offering. With our easy blog add-on for AspDotNetstorefront shopping carts it all happens right on your own site. Our blog add-on for AspDotNetStorefront is a simple and easy way to add a fully-functional blog to your ecommerce site and offers a broad range of great features. It all starts right in your shopping cart administrative console - build unlimited blogs and blog entries, add categories and archives, display a read count for each entry and customize the look of your blog with CSS styles. Take your blog posts even further with interactive features like comment features, Facebook like buttons, Twitter integration and RSS feeds to build a community around your products. To enhance the visibility of your blog to search engines even more, we’ve also included important structural elements like categories and keyword-rich URLs. Response:It creates month/year based groupings in the lower right of the blog, so this allows you to easily access articles/content based on published dates. Response:No issue, you can use it in conjunction with other departments/sections. However, if you have a section menu, it will show up in that menu too. Response:Thank you for your questions Annette! 1) Yes, uses XmlPackages and styles so can be made store specific by putting into store's skin 2) Yes, since it uses products as modified blog posts, you can map them to different departments mapped to each store as needed 3) No, you can link to it from anywhere so shouldn't conflict. Thank you. Response:It uses the carts Department as the "blog" and the articles in the blog are the products mapped to the department. Response:Posts or blog articles are categorized within sub Departments of the main Department which is your Blog. By mapping products to the different departments representing blog categories, you can categorize your posts. Response:Since the module uses the cart's rating system, your customers can post comments and replies as ratings. These ratings are taken without the star rating (just using the comment portion) and become the replies and comments within the blog article. Response:Hello Corey, as the Blog uses the entity/product cart's functionality, one can easily make additional XmlPackages to show latest Blog articles wherever needed. We did it on our home page for example, upper right content area, so we could even provide that as an example. Response:The Blog add-on uses the cart's existing Administration suite and features. By using custom XmlPackages and existing cart features, we were able to keep/use the cart's admin for all administration of the blogging functionality. - Installation requires no knowledge of HTML. Dude! That side bar Twitter feed is Sick! (That’s how my teenagers would say it). Thanks! We like it! Allows you to use your entities and products as a Blog in your cart. Also includes Web2.0 features like RSS, Twitter feeds etc.